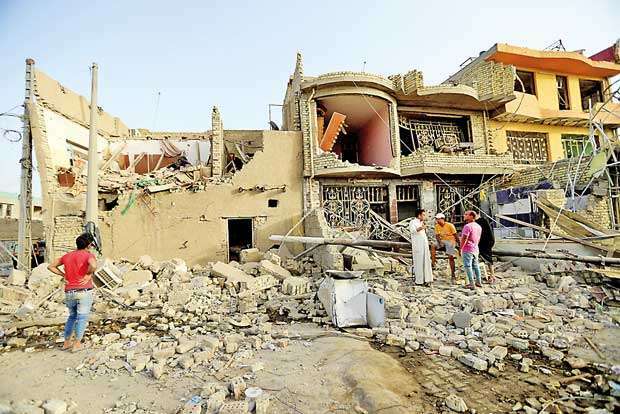 BAGHDAD REUTERS June 7-- Iraqi cleric Moqtada al-Sadr called on his followers on Thursday to remain calm after an explosion killed 18 people in his main stronghold in Baghdad just hours after parliament called for a recount of votes in an election his bloc won. Sadr, a nationalist who tapped growing resentment with Iran, scored a surprise victory in the May 12 vote by promising to fight corruption and improve services. He said in a statement that a committee would be formed to investigate the blast, with findings presented to him within three days. He called for “patience and self-control”, the statement from his office said. At least 18 people were killed and more than 90 wounded in Sadr City, a blast the Interior Ministry said was the result of the detonation of an ammunitions cache. Prime Minister Haider al-Abadi said in a statement storing ammunition in a residential area was a crime and ordered an investigation into the incident.